The workshops started in Durban with sold out dates and an amazing array of creatives joining in and in 2013 I added Joburg into the mix, as well as Cape Town in 2014. 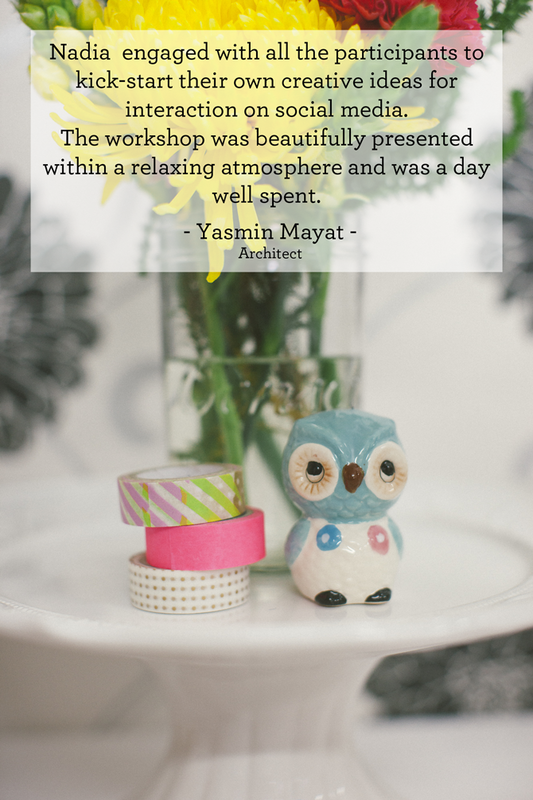 All the past attendees have given wonderful reviews. 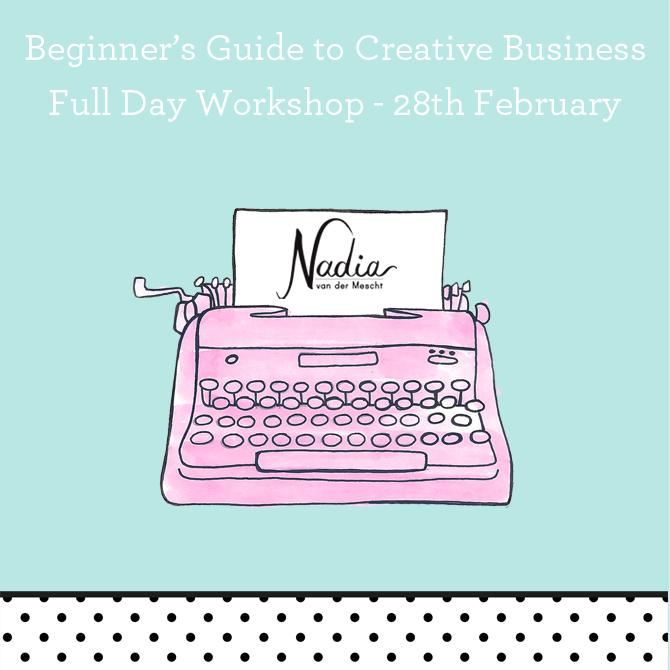 Creatives who attend can look forward to a day of learning with practical examples and case studies of successful businesses. The day is the ideal platform for networking within a creative environment. All the courses include a delicious lunch, snacks, a lovely goodie bag and a host of giveaways from wonderful brands. In addition you will receive a delicious lunch, snacks, the chance to mingle and make new friends as well as network. A beautiful goodie bag is also included. Email me (hello@nadiavdmescht.co.za) or call me (072 093 7730) with your full name, contact number and request to book your spot. I will send you an invoice and all the relevant booking details. You can look forward to a day full of learning with practical examples and inspiration to allow you to flourish!